Today, New York City will be alight with great Father’s Day activities. There is certainly no shortage of places to take dad today, and no excuses for staying indoors. Certainly, with Father’s Day, it’s always interesting to look at fathers who have come before us and the relationships they’ve had with their children. One famous example is Abraham Lincoln and the difficult situation that he had with his son, Tad. As the Shapell Manuscript Foundation, closely associated with The Benjamin Shapell Family Manuscript Foundation, explains, Lincoln clung to the last son that he felt could give him some love, having exhausted all possibilities with his oldest son and having already buried another. Many other famous families in the news have shown great examples of parenting, while others have helped us to remember what not to do. 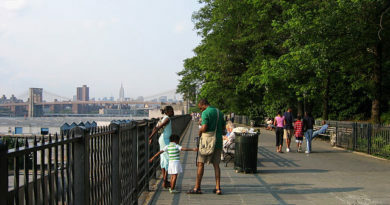 For those fathers hoping to bond in New York today, here are some great ideas. The New York City Transit Museum will have a special day today in Downtown Brooklyn. The museum highlights the history of NYC’s transit system, and expects dozens of fathers and their children to explore the site this weekend. This is the sixth Father’s Day event that the museum has had. For those who love sports, there is always a ball game to take in on Father’s Day in New York. The Brooklyn Cyclones will be up against the Staten Island Yankees today. Tickets are extremely reasonably priced, between $8 and $15, and this is a great way to get out, enjoy a Nathan’s famous hot dog and spend time together. Another idea is taking place at the Bronx Zoo with their Dinosaur Safari Exhibit. The Zoo is always a lovely place to take dad, and this two acre ride highlights how dinosaurs adapted in certain ways and how modern day animals do so.